MI CASA is located at 311 - 329 CHOA CHU KANG AVENUE 3 in district 23 (Bukit Batok, Choa Chu Kang) of Singapore. 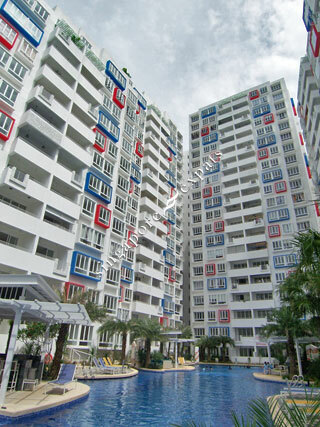 MI CASA is a 99-year Leasehold Condo development consisting of 457 units. MI CASA is completed / TOP in 2012 (estimated), developed by TIAN HOCK PROPERTIES PTE LTD (FAR EAST ORGANIZATION). Educational institutions like ST. FRANCIS METHODIST SCHOOL, GERMAN EUROPEAN SCHOOL SINGAPORE, CANADIAN INTERNATIONAL SCHOOL (LAKESIDE), SOUTH VIEW PRIMARY SCHOOL, TECK WHYE PRIMARY SCHOOL and DE LA SALLE SCHOOL are near to MI CASA. MI CASA is accessible via nearby CHOA CHU KANG, YEW TEE and BUKIT PANJANG MRT Stations. Near mall, park, schools, bus interchange, mrt. Very convenient location with quick access to public transportation (MRT) and amenities (eateries and shops). And located next to a big park ! Mi Casa, or “My Home” in Spanish, is just five minutes’ walk from the Choa Chu Kang MRT and LRT stations, bus interchange, community library and the bustling Lot 1 Shoppers’ Mall. This condo, offers the perfect mix of convenience, accessibility and quiet sanctuary. While well connected with major arterial roads and; it still preserves an air of serenity with Choa Chu Kang Park at its border. Mi Casa, designed to look like the picturesque stark white homes on Greek islands. To capture the feeling of the Mediterranean, there are private islands built around the swimming pool which literally floating on the water, with a walkway joining them to the main island. On these private islands, couples can spend romantic time together, or families can hold barbecue cookouts – these islands come complete with a fully-equipped kitchen, stoves, and refrigerators included. Nice pool with dining pavilions. Unique facilities include the private pavilion with spa pools, and karaoke room to house your private parties. This Far East project tends to exude a character on its own, and the developer has thrown in a lift security system that is similar to those installed in higher class hotels. The only people who can access to your lift landing are your neighbours living on the same floor. The big park just outside Mi Casa is a big draw. Southview Primary, one of the top neighbourhood schools in Singapore, is within walking distance. The MRT and shopping mall are also just within 5 minutes walk. When Rainforest is completed end 2014, those facing rainforest will be the prized stacks as these stacks will have the pool view of rainforest have privacy as mi casa stacks will not be staring directly at rainforest balconies. Moreover, those facing rainforest will not have the afternoon sun (south east facing). With Jurong condos (J Gateway) selling at $1500 psf and above, this fairly new project is a big bargain. It is wonderful place for everyone. Walking distance to MRT, shopping centre and eating places. next to lot 1 shopping mall. 5 mins walk to CCK mrt.